Over the last ten years, a lot of books have been written arguing that equality for women has been more or less achieved. Many careers that previously were seen as “just for men” had opened up to women, girls seemed to be doing better in exams than boys, young womens expectations about their futures were higher, and they were more confident about their sexuality. All of those things together were giving the impression that it’s possible to achieve equality for women in capitalist society through a series of reforms. 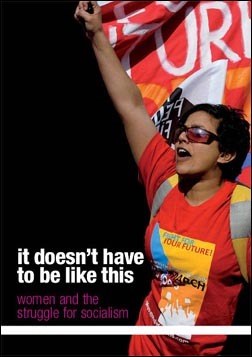 Christine Thomas’ new book It Doesn’t Have to be Like This: Women and the Struggle for Socialism, argues convincingly that this is not the case. Her book addresses both the extent to which equality has not been achieved  despite all the visible gains made by women  and the ways in which those gains are now under threat. Thomas also challenges the idea that the oppression of women has always existed in society. Delving back through history, she demonstrates the connection between the development of class-based societies and the birth of sexism. An end to society based on the oppression of one class by another would also open the way to the end of the oppression of women. For this reason, Thomas argues that women’s struggle must be bound up with wider class struggle to be successful. 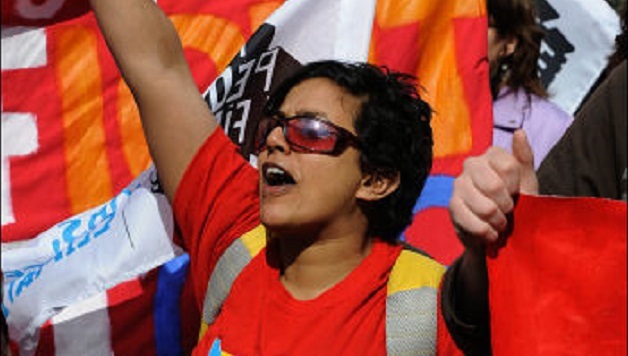 The economic crisis and its aftermath is now the main threat to women’s rights in the workplace and in wider society. In particular, the bloodbath that’s being prepared in the public sector. There will be no let-up in the attacks unless we organize and resist, in the workplaces and in the communities.